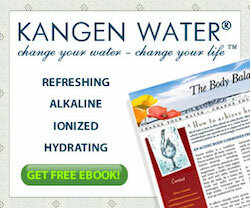 This is just another reason why a Kangen Water machine should be a must in every household. You don’t have to be an athlete but you may suffer from some form of exhaustion or struggle breathing when just walking or any type of exercise, then ionized water is for you. The More You Drink ……. When you use the Kangen water machine, in addition to alkalinity the ionized water is also loaded with active hydrogen which serves as an anti oxidant when it interacts with the body. There are three main properties that make ionized water different from any other water in the word: anti – oxidation, micro – clustering and alkalinity. Together they create an incredible combination. What is micro-clustering you may ask. Most drinking water including bottled and tap water is comprised of clusters containing between 16-60 water molecules known as Macro cluster. During the ionization process these clusters are broken apart, resulting in fragmented clusters containing 4-6 water molecules. That is known as micro-cluster. These micro-clusters are abet penetrate and be absorbed very effectively and that in turn leads to a greater degree of cellular hydration. I have to say that this water is also, so much easier to drink. I struggle with tap and bottle water to drink the required amount, especially when exercising. 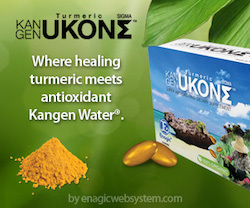 The Kangen water is so much smoother and easier to drink and keeps me well hydrated. 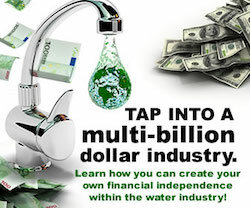 If you are interested in a Kangen Water Machine – go to http://www.lifechanging-water.com or call us on 1(281)239-6410. Also if you are interested in a home business this is a beauty.